Mets third baseman Jose Reyes colliding with catcher Travis d’Arnaud while chasing a pop fly hit by Freddy Galvis in the eighth. The fragility of the Mets’ roster was ubiquitous at Citi Field on Tuesday. Before the Mets faced the Philadelphia Phillies, General Manager Sandy Alderson gave positive but vague updates regarding the health of pitchers Seth Lugo, Steven Matz and third baseman David Wright, none of whom would be playing any time soon. 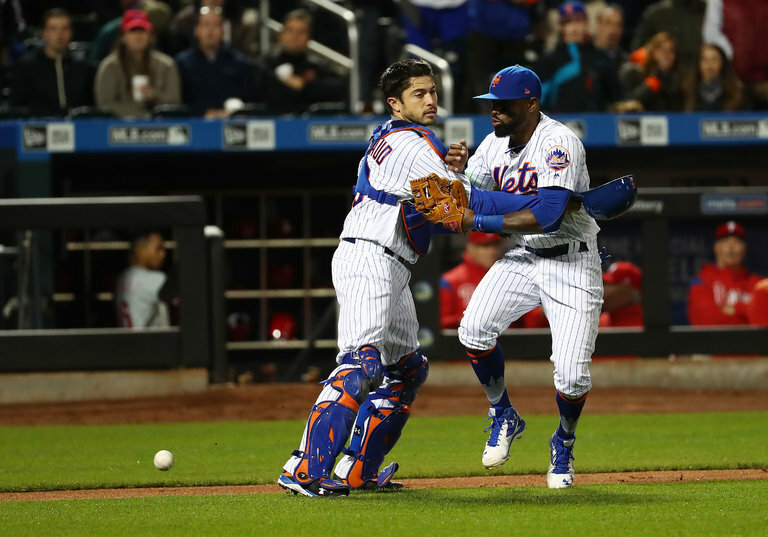 When the game started, the absence of those players — and the performances of their replacements — was tangible in the Mets’ 6-2 loss in 10 innings, their fourth straight defeat. Zack Wheeler, who missed the past two years after having Tommy John surgery and dealing with prolonged elbow discomfort and nerve irritation, offered a rare bright spot. He earned a spot in the Mets’ starting rotation largely because of the injuries to Lugo and Matz, but he had his most reassuring outing this season, allowing one run over five innings while striking out seven. Bell Tolls: What will it take for Bortles, Jaguars to take down Patriots?